For people with autoimmune diseases such as Sjogren’s, Rheumatoid Arthritis, Ocular Rosacea, Graves’ Disease, Raynaud’s, Lupus, Bone Marrow Transplantation, Graft Versus Host, and more. up to 3 months if needed. 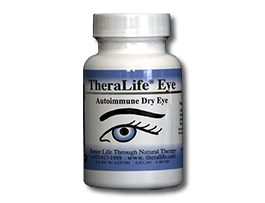 Start intensive treatment with TheraLife Eye Autoimmune by taking 8 capsules a day until tear film stability is established and your eyes feel comfortable. This will take 1 to 3 months. When symptoms improve, continue treatment by taking 6 capsules of TheraLife Eye Autoimmune per day for maintenance of relief. if you experience a flare-up. 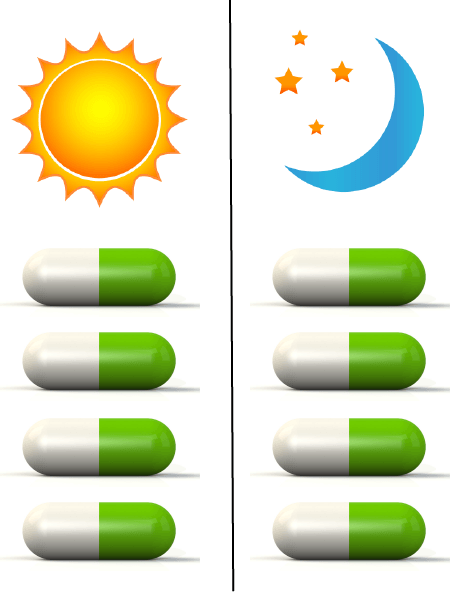 If symptoms return, go back to taking 8 capsules per day. 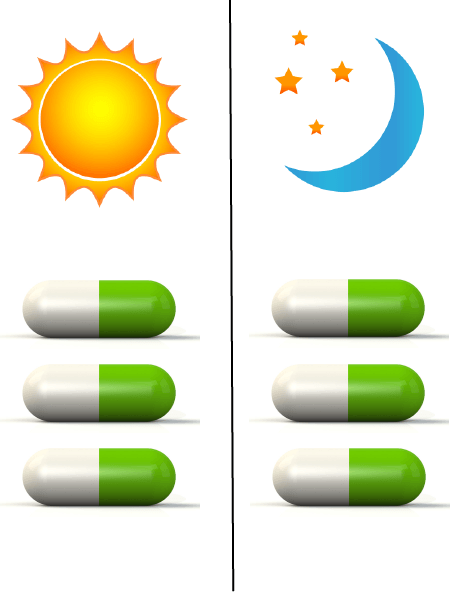 Go down to 6 capsules per day only when symptoms improve. It’s important not to reduce dosage too quickly. Theralife® recommends an initial dosage of 8 capsules per day for the first week of treatment, followed by successive decreases in dosage levels as treatment continues (see Dosage Instructions above). This regimen works well for most people with mild to moderate dry eyes who are generally in good health. For those with severe dry eyes, the initial dosage of 8 capsules per day may have to be extended beyond the first week, especially for patients with auto-immune diseases such as Sjorgren’s Syndrome. A question that often arises is: How many capsules should be taken once dry eye symptoms are alleviated or normal tear secretion is established? The appropriate maintenance dosage for you will depend on many physiological and environmental factors such as: age, medical conditions and medications, exercise level, weather, hormonal balance, and others. Dry eye conditions may flare up or become more severe from time to time, due to the factors discussed earlier. To help with the discomfort caused by these flare ups, Theralife® recommends taking additional capsules prior to and during travel on airplanes, active outdoor sports activities, sudden humidity changes (especially due to altitude changes), and other seasonal changes. Wearing wrap-around sun glasses is also highly recommend for outdoor activities to protect your eyes from sun and wind. In short, you can always take additional capsules of Theralife® Eye Enhanced when dry eye symptoms flare up or when you know that you will be encountering conditions which may aggravate your dry eye symptoms.